just confused, you are a total idiot. It is only our opinion but we are certainly happy to share it. reward them with a 50% OFF any pizza. Every other restaurant highlights their best reviews, we don't. We think that bad reviews are way more entertaining and fun to read. On sites like Yelp we find the most amazing and stupid reviews ever written about us. We have many to choose from because people really hate us on yelp, and we are very proud of it! and of course make fun of it. Thousands of our repeating loyal customers learned about us from our funny FAQ, our Village Idiot page and our Hall of shame. In Italy we don't have Yelp. Italians spend most of their time eating, getting laid and talking to real friends (not the ones on Facebook). So we don't fully understand why people spend so much time writing on the internet to imaginary friends or imaginary followers. Here we show you the most embarassing and idiotic reviews we found about us, with our replies and comments. We can't believe that some people are stupid enough to make fools of themselves. It is not about how the food is or their experience in general...usually they get mad about the owner or the toilet or whatever other thing has being bothering them. turn off the computer and go out with friends. We really hope the faucet man will come back to see us. 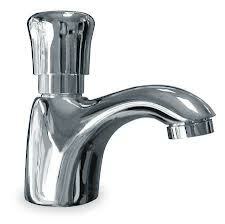 with our faucet we will provide you with the instruction manual. Went there tonight for maybe the fourth time. Every previous time was fine. This time, I went to the restroom to wash my hands. Had to use a key hitched to a spoon about a foot long to get in. The water didn't work, neither hot or cold. I told the woman behind the bar. She walked into the kitchen, then out again. After a little while i tried again. Same thing-no water. I tried both hot and cold settings again. I'm reporting them to the health dept because the water didn't work, and I wasn't sure employees were washing their hands after using the restroom. So the cook comes out, checks the water, and says 'it works.' I said show me. So we walked into the restroom, and he pushed the knob down, and water came out. It wasn't the type of faucet that usually requires that-it was an ordinary looking knob like you'd turn one way for hot, one way for cold. I'm 65-I've used many different types of faucets quite successfully. We grew up in Italy and as a little kids we were going to the circus to see the clowns. As adults we opened a restaurant in Richmond and guess what!? The clowns are coming here for dinner and the entertainment is free. We think of you as a national treasure, as is Mr Bean for the British. We can only imagine your face and frustration when you found yourself dealing with this strange device in the bathroom, a magic instrument, some new technology from another planet, or maybe an Italian faucet that has not been translated into English for you. Doesn't matter if the hundreds of customers that use our restrooms weekly easily wash their hands, it's still a bad faucet, bad bad faucet, that does not like you. Yes you should contact immediately the proper departments and also the White House - the president needs to be informed about this mysterious device placed in our bathroom. We are so glad you did not hurt yourself trying to make the faucet work. Next time the circus is in town please stop by again . We will take you to Home depot and Bed Bath & Beyond so you can play all day with all these magic faucets. Thank you funny man for making our evening less boring - we need to have some fun sometime. We are hoping that our faucet will become a local attraction and you become an inspiration for new young comedians. This one was to good to be true - we have to share with the public. Now you are in our Hall of Fame. Congratulations! If anyone deserves to be in our Hall of Shame it's this gal. How far human stupidity can go is a mystery. Keep up the good job - BRAVO! I am writing a review on all the reviews I have read about this place. I have never gone to this restaurant, even though I have walked by it hundreds of times. All right I take it the food is authentic Italian. The owner is Italian,has Huge Ego, everything is Italian right? I guess the obvious stupidity is and I guess the owner can not think above his ego is that the restaurant IS NOT IN ITALY, IT IS LOCATED IN RICHMOND, CA USA! If he likes Italy so much why not open a restaurant there? Out of respect for people who live here, they should be treated with respect and not treated badly because they are not Italian. I know the owner could care less about my opinion, But this is America, USA,we deserve respect in our own country. you have never been to? You have an idea how cute you are? Really? In Italy you would be locked up in some mental institution but here you write reviews on other reviews and you are still wandering around. God bless America! If you don't mind we are going to post this on our website because we have to share it with our followers and friends. Seriously we want to help you if there is anything we can do to help you let us know, we know many good psychiatrists. But you are right to not underestimate the threat to your country. In fact our Italian troops at Botto are ready to invade the United States with pizza and fettuccine Alfredo. Our guns are loaded with meatballs, we will have no mercy. OMG!!!!! We really hope for you this is just a joke you are writing, because if it is not BRAVO! Steve is a guy that visited our restaurant 12 times before he decided he hated us because our pasta does not come with garlic bread. He hated us so much that he gave us 5 stars out of spite for trolling his god, Yelp, who gives him the only purpose in his life. Our reply to Mr 500's review made it into an article in the SF Chronicle. The article ended with the phrase 'poor Steve', and that says it all. If you are a winner willing to write as many as 500 reviews on Yelp for free, Yelp will give you a special person's badge, an ‘Elite badge’ to make you feel important so Yelp can sell ads. In Italy an idiot who writes 500 reviews would also receive a badge along with a Batman costume, a pony, a noise maker and a bucket full of candy so they can sell tickets for the circus. Our parody of the Steves that made the news in the SF Chronicle was a smash hit that made the entire Bay Area laugh. (You have to read it so you can enjoy the rest of the story even better). Mr 500's reaction to our reply? Just an awesome parade of comical threats and comments. We are not making any further comments here we are just going to post some of the best lines and fantastic threats of this very scary and powerful little confused man. As of today we are absolutely terrified. We printed the whole story and placed it as a trophy next to the toilet paper dispenser in our bathroom, we think we have found the perfect location for Mr 500. 'Poor Steve'.
" I just got back to my 4400 sq ft house (yes really) from a week at the beach with real friends (yes really), my WIFE thought it was hilarious." " If you take down the article, I won't contact my attorney"
"Not a threat but a promise... I may also involve some news organizations as well. They would be very interested to have a story about a small business bullying and insulting an innocent customer who did nothing wrong and only told the truth." "You picked the wrong guy"
just a splash of self confidence issues, you can barely notice it. We didn't! This is what you become when you write too many reviews on Yelp. turn off the computer, find a hobby, and for the love of god get laid somehow. But it also made it in Italy in three major local Tuscan papers. we hope for the sake of the old country that is going to stay like that. We can't really put a sign on our door saying "Idiots not allowed". But, what we can do is advertise our FAQ with the answers that any Brians do not want to hear. They are made especially for the Brians. retire and he will find peace. see them every month. Not the brightest guy in the class. how much he enjoys being the village idiot. Enjoy Champ! So if you have an IQ lower than this guy you need to be watered twice a week. But we love Brian as if he was normal. "Any business that has an attitude like this place isn't worthy of being in business. I'm soooo honored to be your "Village Idiot". If just one person read my review and skip your restaurant I'll be an happy idiot. The many recent 1 star reviews say it all so I guess you should just go back to Italy. Something tells us that Brian and Yelp don't like us that much. Oh well! You finally got our attention, but not in the way you hoped. This one has been served to us and our followers on a silver plate. We grew up in Florence Italy where Yelp has not been used yet, so there we don't have many resources to find the Brians. For the past 10 years we published on our newsletter and on our web page "The village Idiot", the most idiotic and impressive bad reviews ever written about us. We already make it pretty clear how much we care about the Brians' opinion on our FAQ, and of course it is a traumatic experience for any Brian who is reading. Honestly we don't know who the Brians are, they are nobody to us and probably to many others, they usually just want attention or a friend, who knows! Sometime they want to be Italian or a chef or a food critic, sometimes they want to be Indiana Jones or Luke Skywalker, they are cute, just say yes. They have to prove they have special powers. Tons of hours of food channel and 3 weeks in Italy and Voila'! Any Brian is ready to give a lecture to anyone at anytime! We and about 10000 followers of Botto can't wait to laugh at the Brians, especially when they are getting aggressive and they want you out of business. They are kind of creepy! Now this one is going to be on our next Newsletter and on our page with Brian's reviews and our answers. Of course it will be in our Hall of Fame. How do you recognize a Brian? They tell you you have an attitude if you don't do it their way or another way. If a fancy limo parks in front of your business, the door opens and NOBODY is coming out, you have found him - it's Brian! Every village has one and we found ours. It doesn't matter where you are, Italy or the States, but here they are easy to find - they are on Yelp and they look for you. We have served Italian food and made fun of Brians for 25 years. If you have a special Brian friend please bring him to Botto...we''ll make sure is going to hate us for ever! NO PROBLEM, WE'LL DO OUR PART. AND HAD A GOOD LAUGH.